Dennis is a 38+ year veteran of the Direct Sales industry. He has professionally trained thousands of people in home-based businesses how to prospect, build, and grow their networks. He is a popular keynote speaker at events and conferences. His dynamic high energy style engages his audience and his simple business plan approach empowers his mentoring clients with an “I Can Do This” perspective. Dennis also coaches people individually through phone and email. He has an ability to draw out the potential inside of his clients, helping them make their goals and dreams a reality. His down to earth technique and manner allows his clients to leave his events and trainings empowered to move to the next level of success. Dennis has been in the Network Marketing arena for 38+ years and comes to the table with a full gamut of experience and leadership prowess. From his early beginnings in law enforcement, and owning and operating several small businesses, Dennis has created a lifestyle of integrity and personal development. He has practiced Martial Arts since 1959 and has been President of the American Judo and Jujitsu Federation. He is a professor of Danzan Ryu Jujitsu and holds the rank of 8th degree black belt. The discipline that Dennis has in the world of Martial Arts is the same that he brings into the boardroom and field trainings. 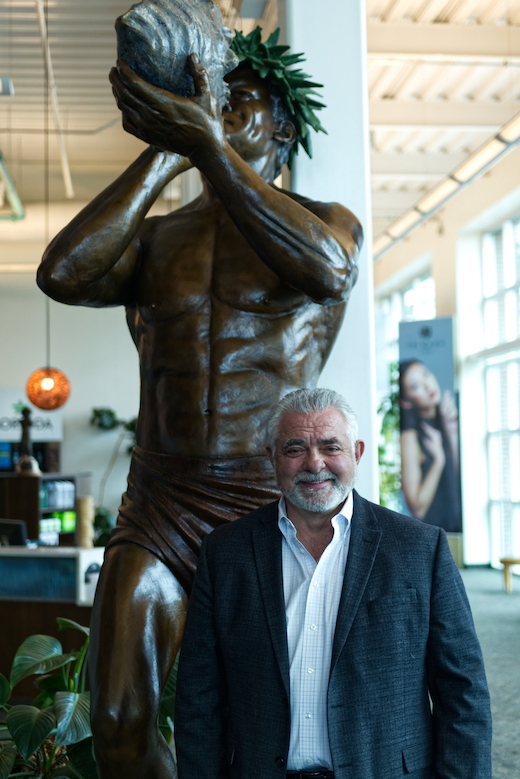 The tenets of Dennis’ core motivations are exactly in line with those of Morinda: bringing balance in life through improved physical health and material wealth to help people find and support their why. Dennis believes that finding your why is central to unlocking your true potential. Someone who knows their why, and knows how to achieve it, is someone that is going to make things happen. Dennis explains that fundamentally, the why is never really money, but what you would do if you had the means. For Dennis, his why is his family. Before network marketing, he had no time to spend with his children. He knew that having time with his family meant that he needed to be in control of his life. He was looking for freedom from the daily stresses of life that kept him away from what he valued most. As Dennis searched for something that would lead him to the freedom he desired, he was not looking for Network Marketing. He ended up joining his first company as a favor to a family friend but had no idea how it would impact his life. He found that the skills and moral fortitude that he had developed throughout his career as a police officer and entrepreneur had prepared him to become his own boss and a great mentor to so many in the field. He is now one of the industries most productive and influential leaders because he lives what he teaches. He recognizes what people need to succeed and wants to help them achieve their goals. Through the years in Network Marketing, Dennis has not only achieved his ultimate goal of complete freedom, financially and physically, he has led a revolution and helped so many people achieve the same. He is able to earn what he is worth every day, without limit, and focus on his why: setting his own schedule so he can spend time with his family. With 38+ years of experience in Network Marketing, Dennis understands how things work in this industry. While working with different companies through the years, he has learned what essential characteristics companies need for him to work with them. He has compiled these characteristics into four basic criteria. An established company that’s been around for 10+ years, with the infrastructure to become a legacy company. The founders of the company must have heart, compassion, and a vision for the future. The opportunity needs to be good for both the non-experienced IPC and the seasoned veteran. There must be a product at the foundation that could change people’s lives. 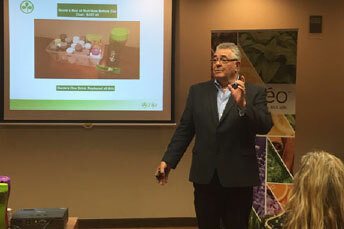 Dennis has found that his criteria are completely aligned with Morinda and our own values. We are excited about the unique leadership strategies that Dennis brings to the table. Not only does he love to train his own organizations, but he also wants to share his experiences with everyone he meets. Dennis considers himself an Intrapreneur not just an entrepreneur. This means that his entrepreneurship thrives within a large organization that integrates both the autonomy of being your own boss and learning and growing with others. Dennis is joining the ranks of some of the world’s finest leadership here at Morinda. Our IPC Leaders have forged the way for so many to find Better Health, Better Appearance, and Financial Freedom. 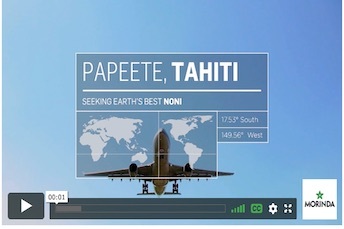 We know that our culture of learning, sharing, and growing together will create a dynamic synergy that will help us continue to fill in those white spaces and share the blessings of Tahitian Noni with all the world.